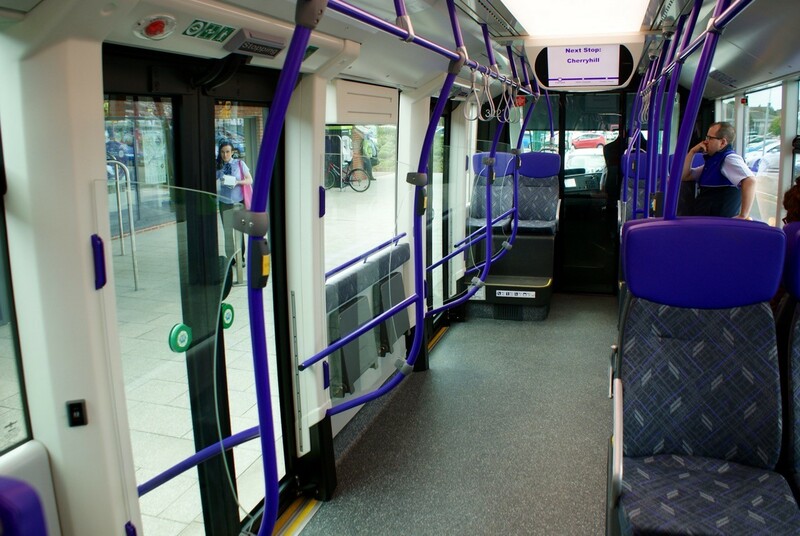 HomeNews, events & mediaBlogbusNew Glider bus service takes off in Belfast – does it work? 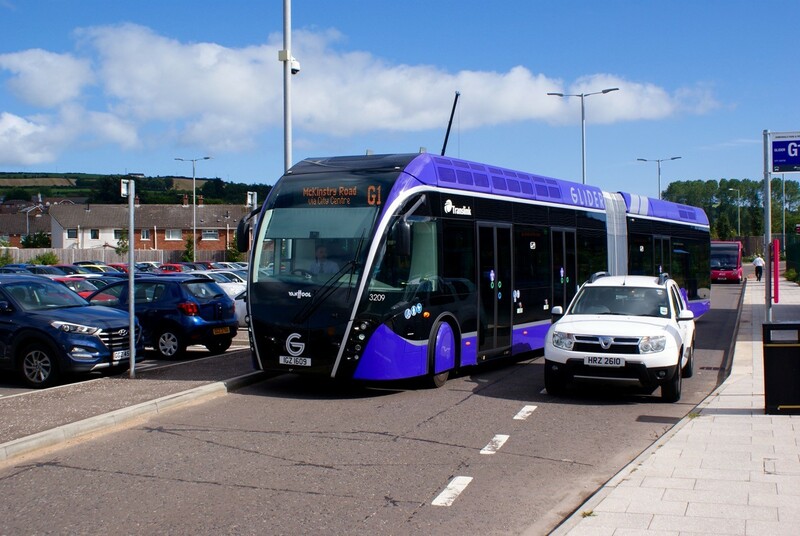 New Glider bus service takes off in Belfast – does it work? What can £90 million buy these days? In Belfast it’s bought 30 diesel-electric hybrid Glider buses, to operate on two new routes, with new stops and a off-bus ticketing system. After launching on Monday what’s the verdict from passengers? Overall the impression is much closer to a tram than a bus. The Glider stops typically 400 metres apart, have a pair of two-seater benches, and a perch for two. To speed up boarding, and reduce dwell times and overall journey speed, ticketing is off-bus, with two cash and card ticket machines, which can also top-up the various pre-paid smart cards. 18 metres is the road space occupied by three largish saloon cars, transport for twelve people, but also the length of one of the new buses, which have seats for 42 people and a wheelchair. There is room for 63 people standing – we all spend too much time sitting, these days, don’t we?! Most of the seats are on raised platforms, about eight inches high, which rather negate the level boarding through three sets of double outward-opening doors, operated by circular touch pads on each door. Icons intended to instruct passengers are outside the doors – the front pair is where a wheelchair user should board, the rear pair is where those in push chairs should be boarded. Practice will make perfect, but unhelpful for first-timers. Miles of new bus lanes have been created, with resurfaced road providing a much smoother ride, and lots of posh new paving slabs laid at the stops. Journey times are still urban-slow – and road congestion expands journey times by about 50 per cent at peak times – but stops are much quicker as passengers have no need to buy tickets or show/swipe passes. The frequency is good – eight buses an hour. Will be interesting to see what the passenger reaction is.